*Dilly Dolls*: Welcome to summer! 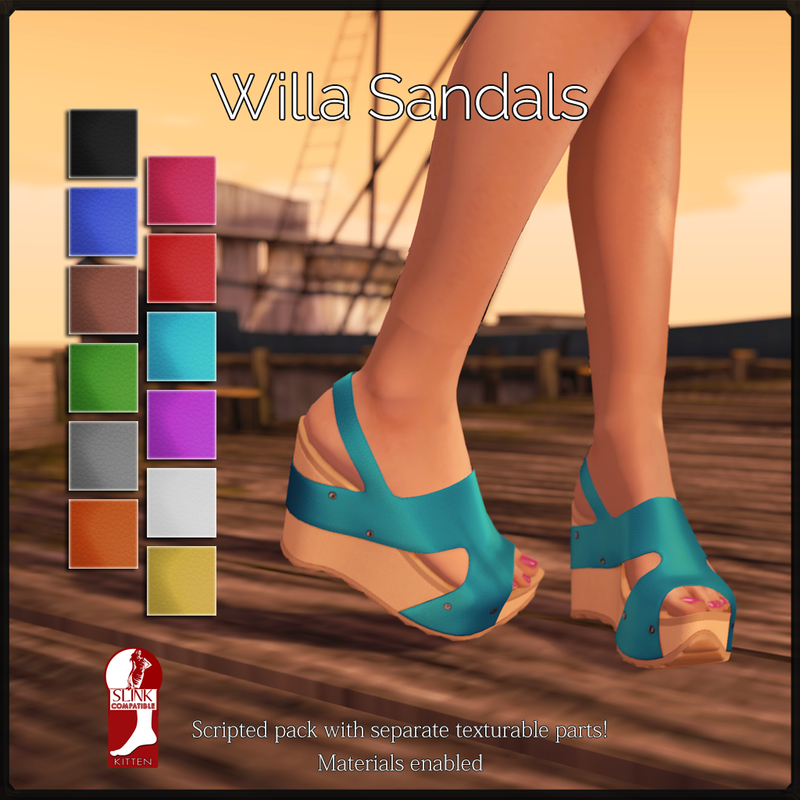 Available now at the mainstore.....introducing the Willa sandals! This is my first official summer release, and I hope it won't (cross your fingers lol) be my last! Things have slowed down quite a bit in RL, so I have been able to spend some time in Blender. These are also being released at the same time as the start of the Summer Lovin' hunt! Now, I have not been in a hunt for a few years, so I decided to start with a smaller one and work my way up again. 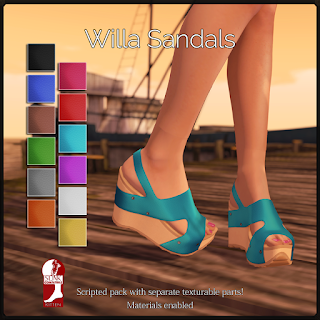 The original version of the Willa sandals REQUIRE the Slink kitten feet in order to be worn correctly! These are 100% original mesh, and are available in 12 single colors, or as usual, a scripted pack!